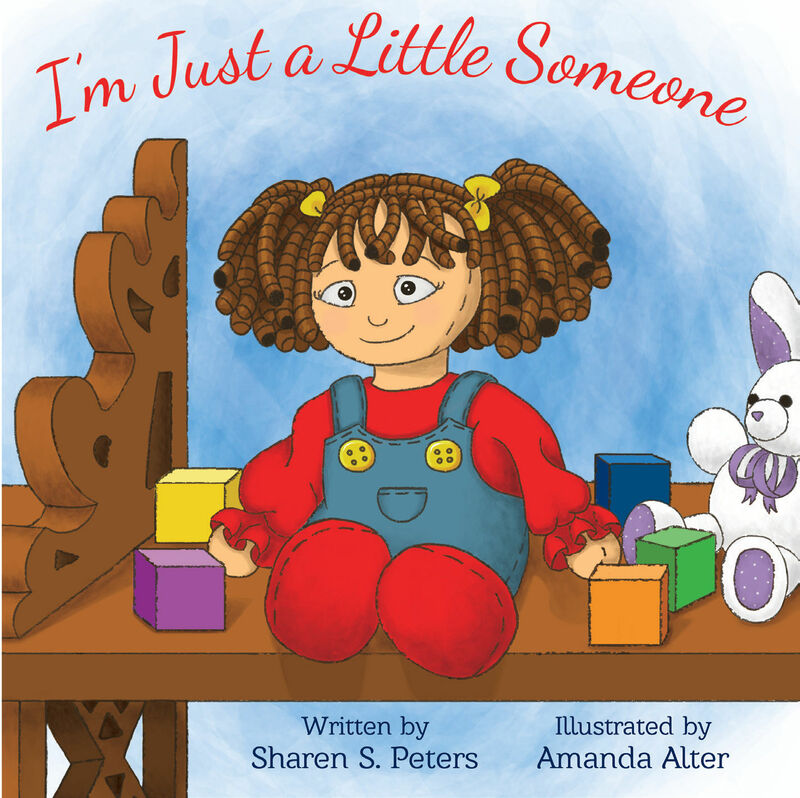 A lonely little girl turns her world into a place of happiness with new friends. Watch and see what happens unexpectedly in the toy store. The story captures the essence of loneliness and friendship. It is a true story of the author’s own lonely childhood. She found happiness by a chance meeting of her husband and eventually adopting a beautiful dog named Rebel who became the inspiration for writing this book. A lonely little girl doll sits by herself in a toy store with all her toys. She sees a lonely little boy doll across the room. She invites him over to sit on her shelf. 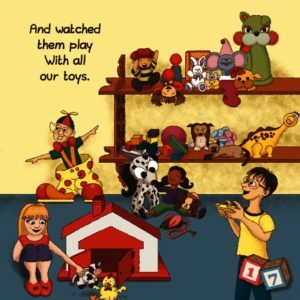 They play with her toys, read books and talk together. They are both laughing and playing when they see another little someone who also looks lonely. This time it is a four-legged animal with the biggest brown eyes. He jumps up to her shelf and then the three of them are as happy as can be! Together they become best friends. The story captures the essence of loneliness and friendship. It is a true story of the author’s own lonely childhood. She found happiness by a chance meeting of her husband and eventually adopting a beautiful dog named Rebel who became the inspiration for writing this book. Complete with Activity Pages at the end, it extends the learning for home and classroom use. 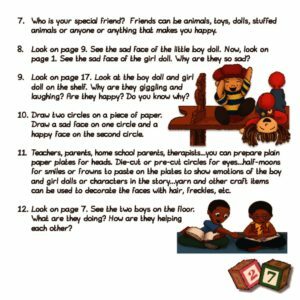 Children ages 3-6 and their families can explore their emotions and learn more about forming friendships at a young age. Read reviews of this book.